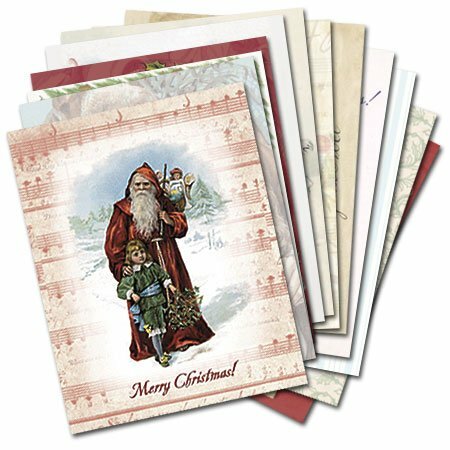 Get Christmas Cards at a Great Price Now! Before you know it, the Christmas Holiday Season will be upon you. At the Christmas Store Online, we embrace the festive Holiday Season beginning very early. And this year, we have located the best free printable Christmas labels so that you can spread the Holiday love with Christmas Address Labels. The Christmas Address Labels presented below are all free. Yes, finally something that you do not have to pay for. As the Christmas season can get a little pricey, it’s nice to have something available for free. If you have ever created address labels yourself, you will already be familiar with how these free printable Christmas labels work. If not, do not fear…it is an easy task. Basically, what you need is a printer and printer labels. (If you do not have printer labels, you can get them here.) The best address printer labels come in measurements of 1 X 2.625 (2 5/8) and most of the Christmas address labels adhere to this specification. The free printable Christmas labels presented below are templates on which you can write the “To/From” information for your gifts. Also, we have included Christmas Address Labels that you can use for your return address information during the Holiday Season. Both the Free Printable Christmas Labels and Christmas address labels are presented below. We have scoured the Internet for you, found the good Christmas Labels, tossed out the “bad” sites that try to lure you in, and present you with the following Christmas Labels that you can place on your gifts! Hoover Web Designs: Hoover Web Designs brings you several free printable Christmas gift labels. Here, you will find designs with Christmas Stockings, Candy Canes, Santa Clause, and more. Each of these designs give you a free PDF download of the Christmas Gift Label. Simply download the file onto your computer and print it out on your label maker. Voila! You’re done. Christmas Gift Labels from Microsoft: Most of us use Microsoft Software on our computers and so this is an easy choice. Microsoft provides us with many free printable Christmas labels that include a plethora of designs. If you have Microsoft Word on your computer, these Christmas labels work with any version of Word higher than Word 97. In other words, these labels will work for you! Free Printable Gift Tags: This is a great page with many different designs that you will like. Additionally, each is offered in both PDF form and Microsoft Word. Definitely check this page out and print these Christmas labels for free. While the two links above are perfect for labeling Christmas Gifts, you will also want to embrace the Christmas spirit with these free Christmas address labels. Blue Mountain Christmas Address Labels: Blue Mountain offers these Christmas Return Address labels that are fetching to the eye. You have to sign up to use them but you can currently sign up for free! Santa Christmas Address Label: Here is a nice Santa Christmas Label that you can download and start using right now. Shutterfly Christmas Address Labels: Shutterfly, a name well known in the photo community gets in on the act with some very nice looking Christmas Address Labels. However, most are not free. If you do not want to buy them, they can give you good ideas for Christmas Address Labels. On this page, we have brought you several places to check for free printable Christmas labels and Christmas address labels. Using these labels is a great way to bolster the Holiday spirit and save a little money in the process. Be sure to check out our many gift sections including Family Christmas Gifts 2009 for some great Holiday Offerings!